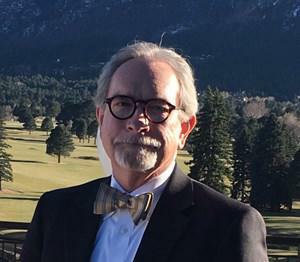 Dr. Donald Lyle (Don) Walter, 66, of Olathe, KS, went to be with the Lord he faithfully served on March 26, 2019, following sudden heart arrhythmia. A Celebration of Life/“Retirement Party” will be held at 2:00 p.m., Saturday, March 30, at College Church of the Nazarene in Olathe, KS. 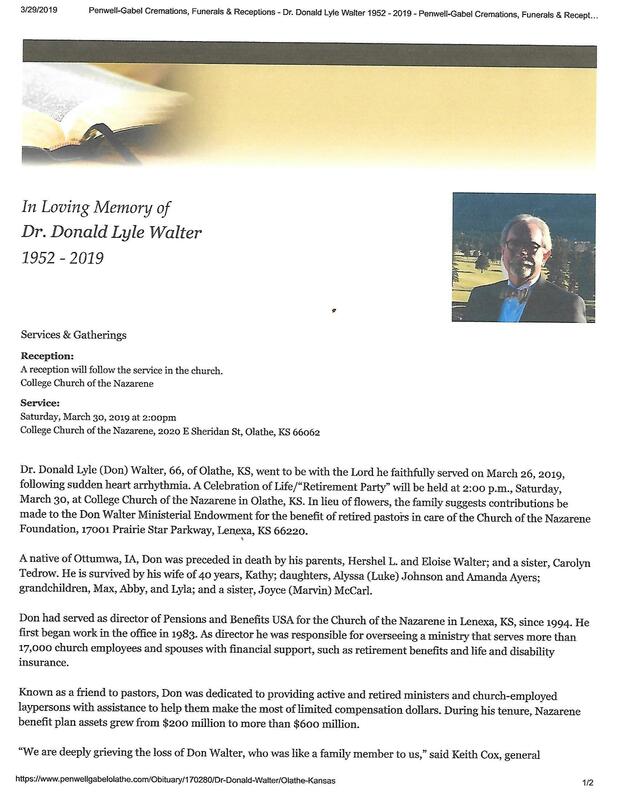 In lieu of flowers, the family suggests contributions be made to the Don Walter Ministerial Endowment for the benefit of retired pastors in care of the Church of the Nazarene Foundation, 17001 Prairie Star Parkway, Lenexa, KS 66220. Please share your memories of Donald L..